There comes a time when fatigue shows itself in the artist's expression, just as in all other aspects of life. The albums are less vibrant, inspiration needs to be stimulated more and sufficiency can lead to an interminable set of compilations. Nevertheless, the banner still stands, as well as the clear notion that we can still admire an artist who in 2018 releases an album of a concert recorded in 1998. Keith Jarrett will always be remembered through his solo concerts and through his unique and long-lasting trio. Any official release has something to say, even if it only wipes the dust off a magnetic tape recorded twenty years ago. But it's always better to have a memorable concert that has never been released before instead of a pale and self-indulgent new performance. 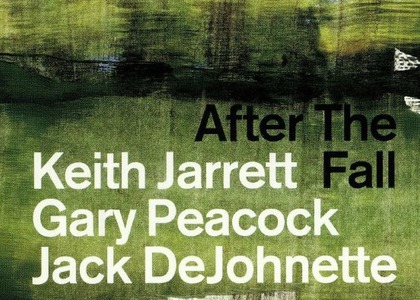 Enter 'After the Fall', a double album featuring the most accessible repertoire ever interpreted by Keith Jarrett alongside Gary Peacock and Jack DeJohnette. The album can bring him closer to a broader audience, who is struggling with chronic fatigue in this very moment, and the improvisations are as good as any in the album series dedicated to the standard songs. We have to understand 'After the Fall' as a tribute to improvisation and the elastic expression of the piano struck by the fingers of one of the most creative artists in contemporary music. We can find other, more representative albums by Keith Jarrett, but the opportunity of having continuity, of understanding the stream of the activity of such a vibrant artist is worth taking without a second guess.